The National Gallery of Jamaica (NGJ) is pleased to announce the staging of the fourth edition of its educational workshop, WRITIVITY, which begins on Monday, August 13 and will continue until Friday, August 17, 2018. Inaugurated in 2015, the WRITIVITY workshop is designed for Grade 10 – 11 students, who are preparing to sit Visual Arts examinations for the Caribbean Secondary Education Certificate (CSEC). The workshop is coordinated by NGJ’s Education Department and forms part of the gallery’s summer educational programming. 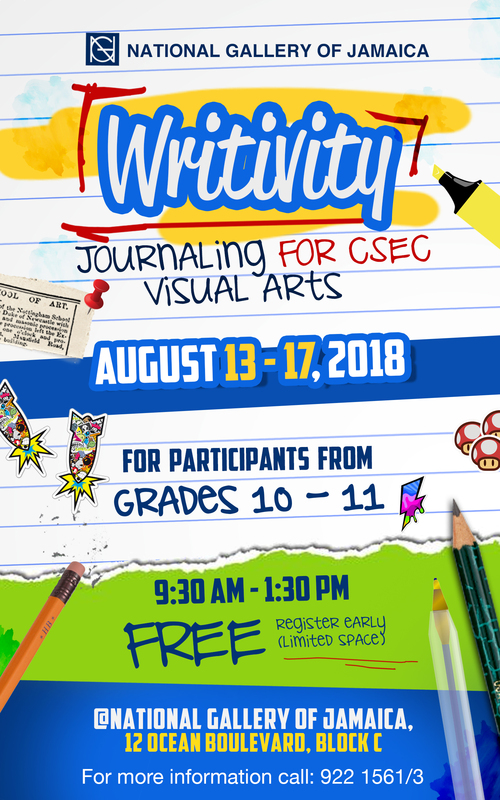 The main goal of WRITIVITY is to assist students with the development of their visual arts reflective journal, which is a key component of CSEC’s School Based Assessment (SBA) submission. By participating in this programme, students will be taught how to properly prepare entries for the journal, analyze art pieces and conduct art related research, within sessions that utilize the NGJ’s art collection and document resources. 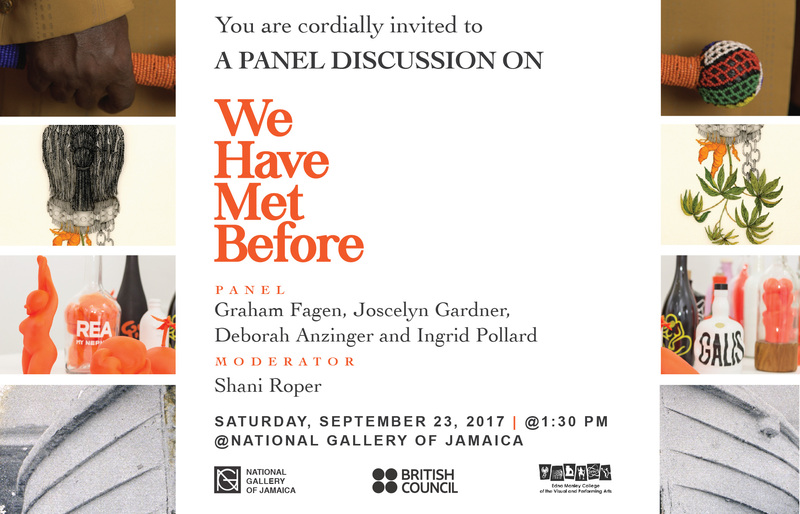 We Have Met Before opens at the National Gallery of Jamaica on September 22 and is staged in partnership with the British Council. The exhibition features Graham Fagen (Scotland), Joscelyn Gardner (Barbados/Canada), Ingrid Pollard (Guyana/UK), and Leasho Johnson (Jamaica) and revisits the challenging but important subject of trans-Atlantic slavery and its afterlives in the contemporary world, interpreted by four artists with distinctive perspectives. 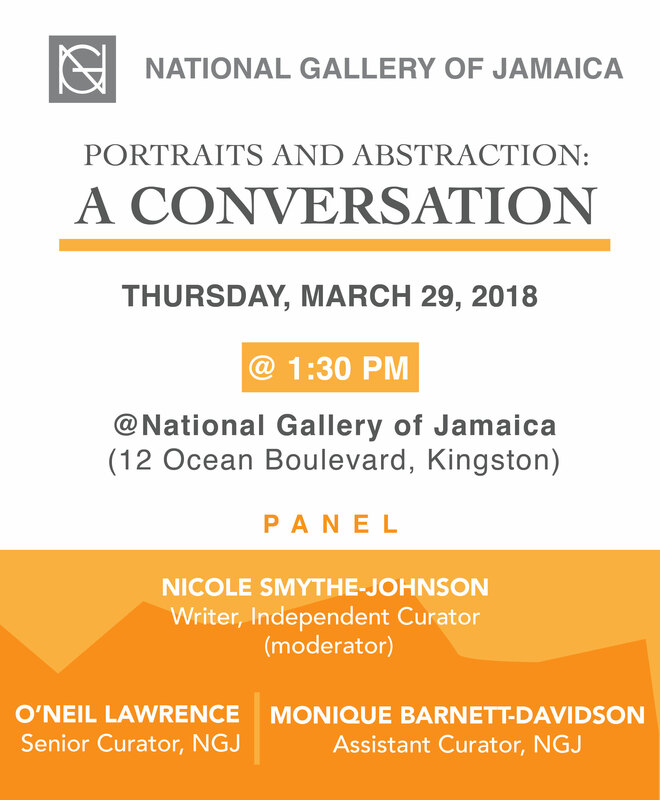 As part of the accompanying programmes for We Have Met Before, the National Gallery of the Jamaica and the British Council will present a panel discussion on the issues raised by the exhibition on Saturday, September 23, starting at 1:30 pm. The panel will consist of three of the artists in the exhibition, Graham Fagen, Joscelyn Gardner and Ingrid Pollard, while Deborah Anzinger will speak about Leasho Johnson’s work. 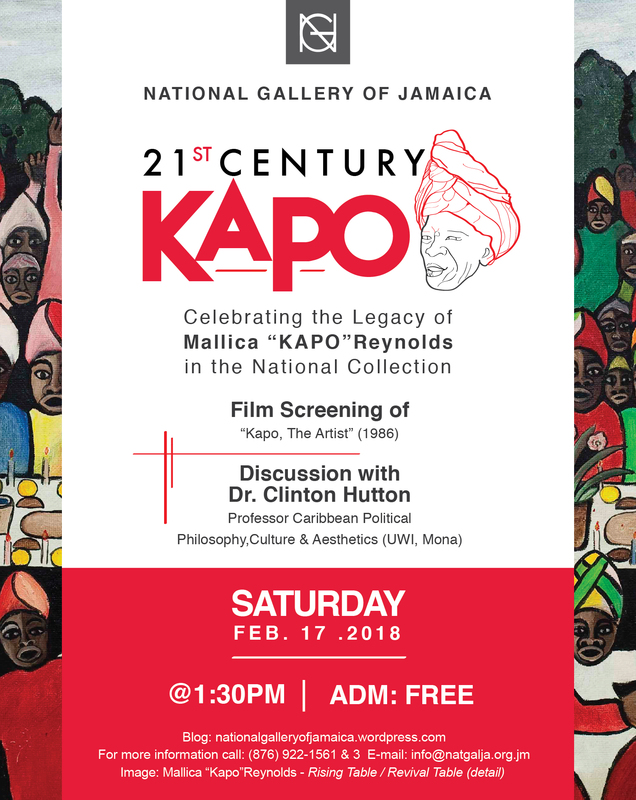 The panel will be moderated by Shani Roper, acting Director/Curator of Liberty Hall, the Legacy of Marcus Garvey. 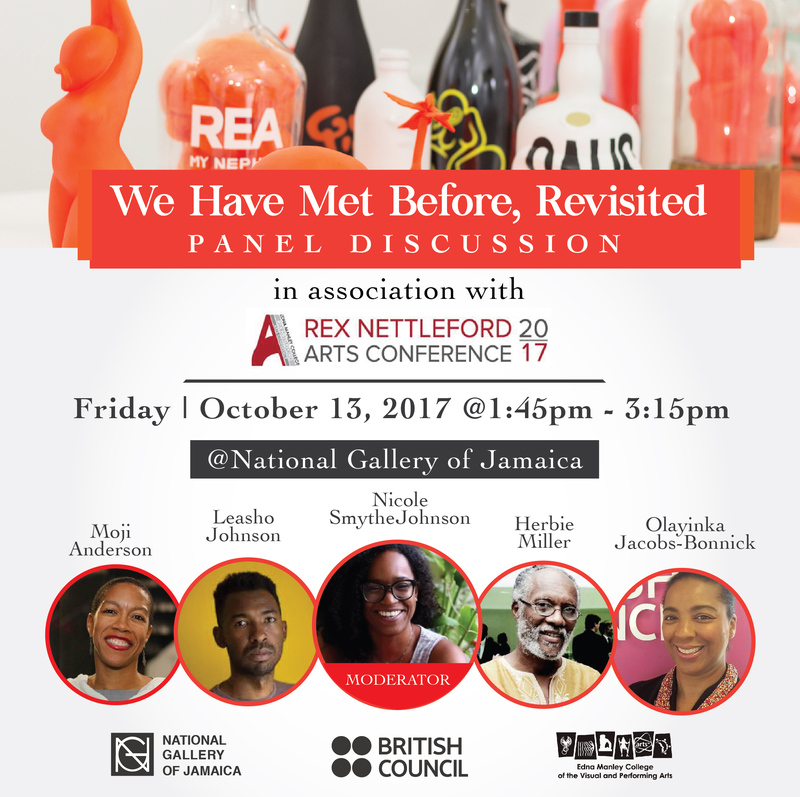 The panel discussion, which will take place at the National Gallery of Jamaica, is free and open to the public and those in attendance will also have the opportunity to view the exhibition, which continues until November 4, 2017.